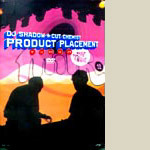 DJ Shadow and Cut Chemist perform their all-45 set in six cities and segments of each set are included on this disc. Also features commentary by Shadow and Cut Chemist, Original Trailer, Performances from Shortkut, DJ Spinna, Z-Trip, Nu Mark and more!!! Also comes with the live CD!